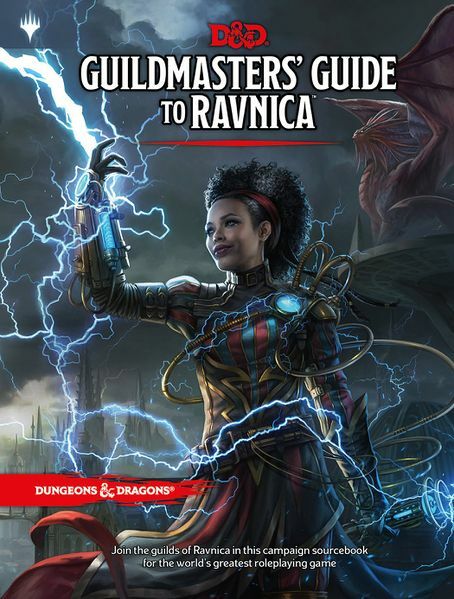 Explore a worldwide cityscape filled to the brim with adventure and intrigue in this campaign setting for the world’s greatest roleplaying game A perpetual haze of dreary rain hangs over the spires of Ravnica. Bundled against the weather, the cosmopolitan citizens in all their fantastic diversity go about their daily business in bustling markets and shadowy back alleys. Through it all, ten guilds – crime syndicates, scientific institutions, church hierarchies, military forces, judicial courts, buzzing swarms, and rampaging gangs – vie for power, wealth, and influence. These guilds are the foundation of power on Ravnica. They have existed for millennia, and each one has its own identity and civic function, its own diverse collection of races and creatures, and its own distinct subculture. Their history is a web of wars, intrigue, and political machinations as they have vied for control of the plane. This book releases November 20th and is available for preorder here! Magic the Gathering Dominaria Prerelease is coming fast!!!! Tickets are available here. Join TerraCrux Games as we take a trip in the way back machine and explore what has been happening in the most anticipated and famous Magic the Gathering plane in history, Dominaria! TerraCrux Games will be running three events each day April 21st and 22nd.. Each event will be $25 (plus tax) or $20 if you play in three or more events. All players will receive 2 Dominaria boosters on round three of all events you play in. We hope to see you here! Shadows lengthen across the Mortal Realms. In every nation, from its ramshackle hovels to its soaring keeps, dark omens abound. The elders say there is change on the wind, and not for the better. Sigmar’s great endeavor, to light the fires of civilization once more, has borne fruit – but in turn brought dangers of its own. 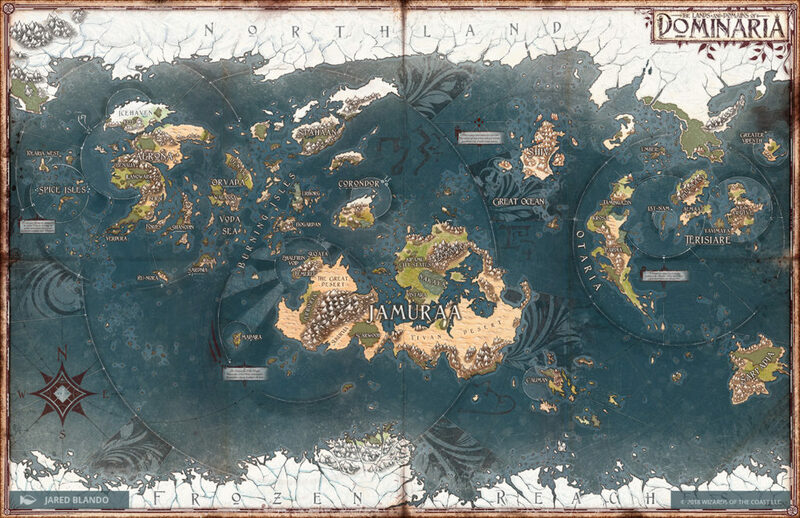 Join TerraCrux Games in the global Campaign for Warhammer Age of Sigmar! Many More details to come! Check out more details here! Magic the Gathering Rivals of Ixalan Prerelease is coming fast!!!! Tickets are available here. Join TerraCrux Games on a Journey to Ixalan, in search of The Immortal Sun, a magic item of unimaginable power and secured in the City of Gold, Orazca, an ancient place of danger and intrigue. Do you have what it takes to secure an artifact of mythic power that promises boundless wealth, the strength of an empire, command over nature, and eternal life? For centuries it was only dimly remembered, veiled in legend, but now legend has become reality, and all the peoples of Ixalan seek the Immortal Sun and the power it promises. They will stop at nothing to claim it for their own. TerraCrux Games will be running three events each day Jan 13th and 14th. Each event will be $25 (plus tax) or $20 if you play in three or more events. All players will receive 2 Rivals of Ixalan boosters on round three of all events you play in. We hope to see you here! 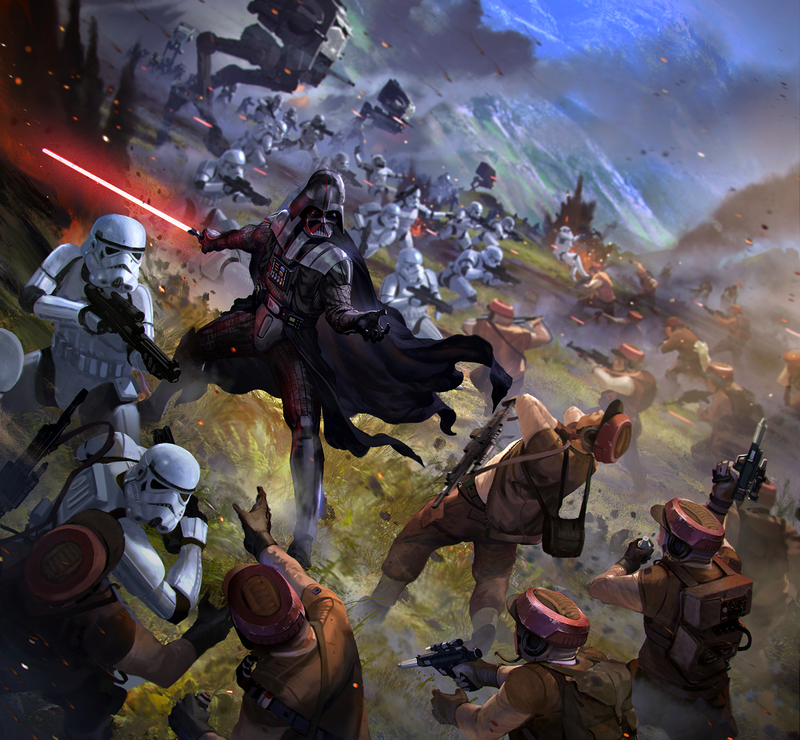 TerraCrux Games is excited to announce the launch of Star Wars Legion! This is the incredibly anticipated unpainted miniatures game where you take the role of a commander trying to stamp out the resistance or restoring peace to the Galaxy! Which side will you choose? These miniatures are very well detailed and need nothing but paint and your determination to survive and see your goals thrive! Preorders are available here! Come in and take control of either the elite forces of the Empire or the ragtag group of freedom fighters! TerraCrux Games has all the supplies, free table space and fellow commanders you will need to enjoy Star Wars Legion. A quick reminder of our upcoming 40K tournament this Saturday! We’ll be using ITC rules, 2000 points/3 detachments, and the action starts at 9:30. We’ll also be laying out our plan for 40K in the new year, and it’s a doozy I promise! Also, don’t forget our weekly Friday 40K group – it’s a great place to meet other players and get some practice in. For more information on the tournament specifics, check out our Facebook page or give us a call! 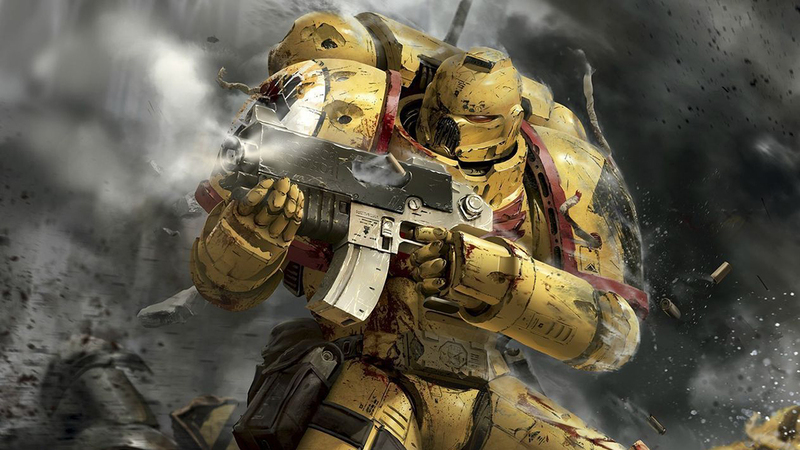 Join us for Warhammer 40K open play, every Friday from 6pm until the shooting stops! Last week featured a thrilling encounter between the brave defenders of Ultramar and some smelly Orks – things looked to be going well for the boys in blue until the boyz in green wheeled out their Weirdboy and heads started exploding, to hilarious results (maybe not so much if your head exploded. Sorry!). The Deffdread went bowling and got a few strikes – many laughs were had. The dakkajet survived a bucket of dice, more laughs were had! Roboute Guilliman looked on approvingly from the sidelines and and there were enough razorbacks for everybody to have one (cause you always bring enough to share, right?). 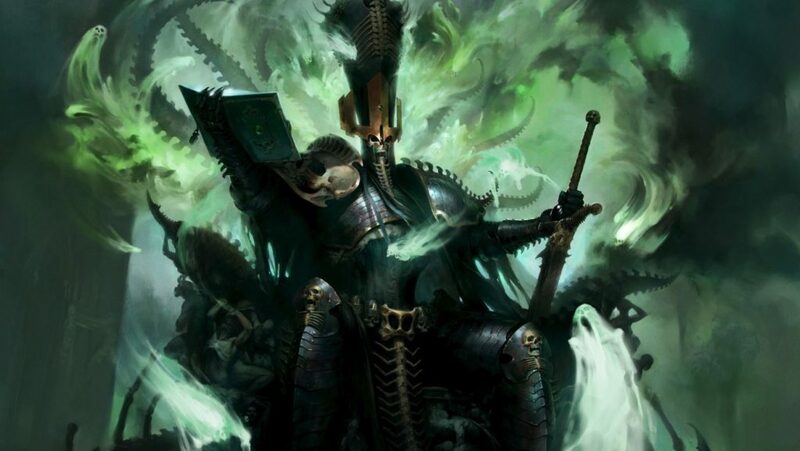 This week our featured game is Death Guard versus Imperial Guar…umm, Astra Militarum. Will the oppressive, alien-hating guys win, or will the Death Guard be victorious? (See what I did there?) We’ll be getting some practice for the upcoming tournament in November, and rumors are swirling of a campaign kicking off in the not-too-distant future! There’s plenty of tables, terrain, and opponents and all are welcome – from raw recruits to veterans alike. We want to see you down here painting, playing, and having a great time! If you need paint, models, or advice then we’ve got you covered there too. You can get all the latest releases, old favorites, and everything in between at TerraCrux. Do you just want to throw dice and have a laugh? Do you need help getting that plasma glow painted just right? Want to toss numbers around and mathhammer the night away? No problem! 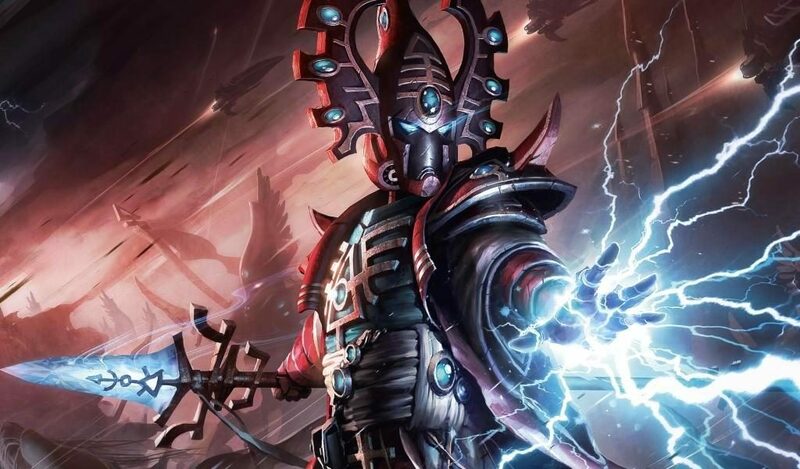 We’re always ready to hook you up with the Warhammer 40K community and get you ready to play! What are you waiting for? The Emperor protects, so come on down! Enter the vibrant world of Rokugan with Legend of the Five Rings: The Card Game, a Living Card Game of honor and conflict for two players! Drawing on the legacy of AEG’s original Legend of the Five Rings collectible card game, and now reimagined with new mechanics, story, and the Living Card Game distribution model, you are invited to join the Great Clans, uphold the tenets of Bushidō, and fulfill your duty to your daimyō and the Emperor in a world shaped and changed by a dynamic, player-influenced story. Shadespire is coming to Terracrux October 14! 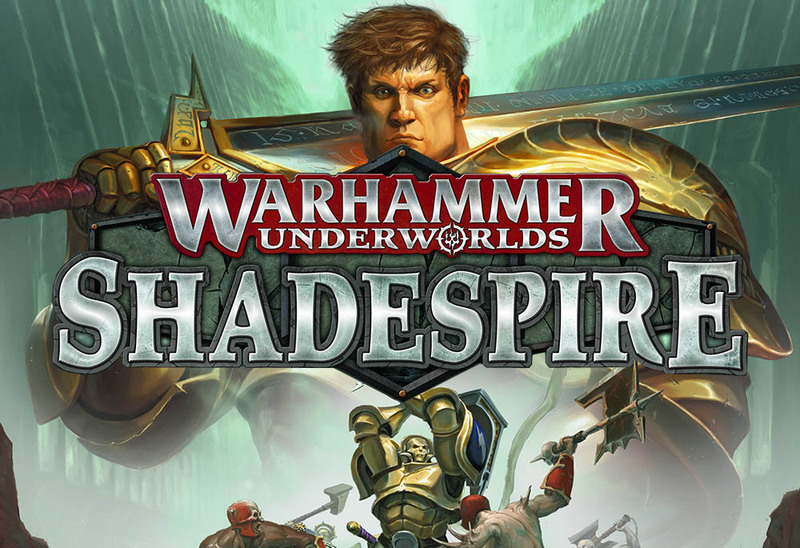 Warhammer Shadespire is a new tactical arena combat game set in the Age of Sigmar. Easy to learn but difficult to master, Shadespire is perfect for small-scale tactical games that can be played quickly and easily by anyone. The game rules are designed with competitive play in mind and matches can be played in under 45 minutes. You don’t need a huge area to play, and it is ideal for club or tournament play (which is our intent once it’s released!). The Core Set contains everything you need to assemble your new miniatures and pit them against each other right away. 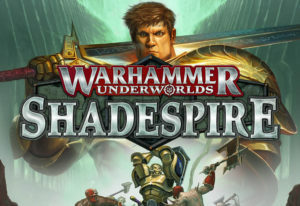 Click here to get more information about Warhammer: Shadespire. Ixalan prerelease party, part two – plus 40K! 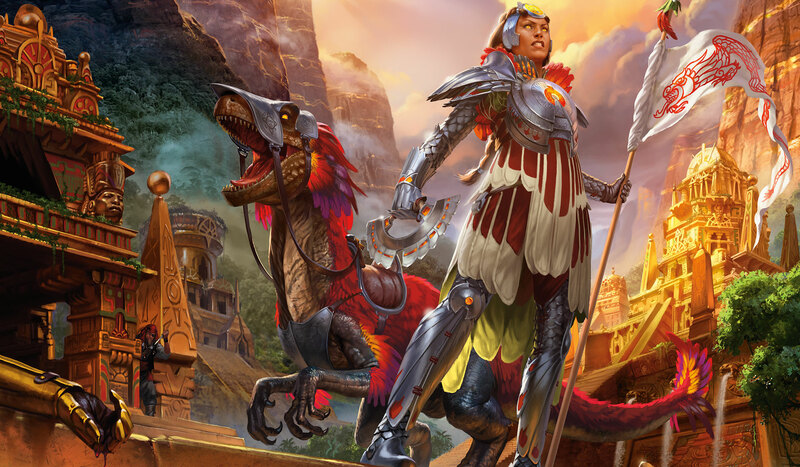 Its part two of our Ixalan prerelease – day one was a ton of fun, and day two is looking like more of the same! Join us at 9am for Sealed, at 3pm for 2 Headed Giant, and again at 9pm for Sealed. It’s just $20 per event, and there’s plenty of prize support. Also, we’ve got a 40K tournament at 9am. Entry is $15, 2000 points using the ITC rules. We’ll be using missions from the ITC 8th ed Combined Arms Missions. You can find more information here. 3 color minimum to to be eligible for prize support, otherwise a base coat/primer is all you need to play!